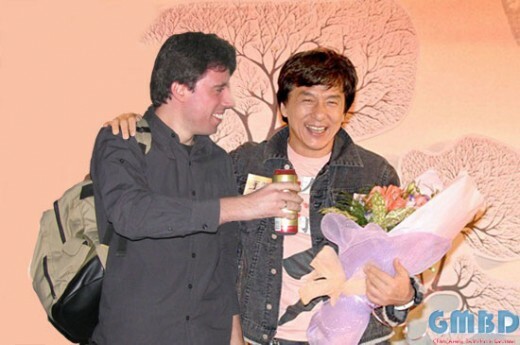 The Grim Reaper's Martial Arts Movies Station: Happy Birthday Jackie Chan! Today one of the most famous martial arts movies star is turning 58 - Chan The Man is getting older and wiser, as he point out some time ago that "Chinese Zodiac" will be his last action movie. Anyway, he proved to be quite versatile actor, starring in both drama and action movies with decent success (Shinjuku Incident & Little Big Soldier for example). I would like to wish him plenty of health, lots of happiness, discovering new talents for the martial arts scene and not to go off camera too soon. 58 is just a number and not something which might worry Mr. Chan, however with a career so active and demanding, he would most certanly need lots of HP (health points), to achieve more accomplishments in the RPG called Life.